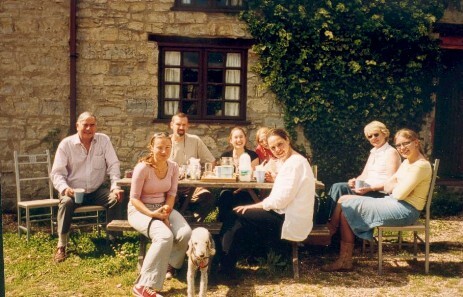 Over a long weekend in 2003, in a barn in Somerset, FATB tutors Zoë Booth (flute) and Rachael Buxton (piano) enjoyed tutoring their first residential course together. 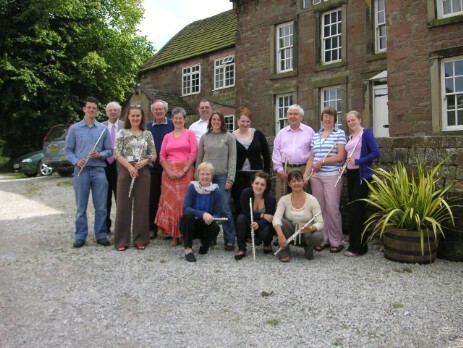 A mixture of musical activities and styles, with a focus on the adult course participants and the highest level of engagement and participation, the Flutes at the Barns (or FATB) approach was recognisable from the very outset; the idea was born, and - by the next year - ideas were further honed in three more courses. 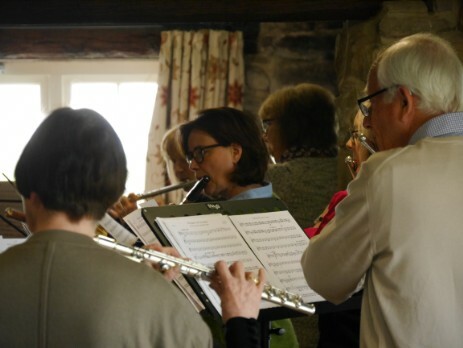 Since it began, Flutes at the Barns has welcomed musicians to two, three or even more courses every year, reaching the celebratory milestone of the fiftieth residential course - in England and overseas - by April 2018, and hosting regular Flute Days - for a bite-size taste of FATB - since 2014. Professional musicians Zoë and Rachael met in 2000 through a friend and musical colleague, originally working together giving musical recitals as The Galadriel Ensemble (flute, piano and/or strings). Both were already passionate teachers alongside their performing activities, and, as their friendship grew - coinciding with the offer of a venue to Zoë in 2003, providing the opportunity to host the inaugural course - it was clear there was a shared mindset; that, no matter what, the music-making and participant experience should come first, the attention to detail of which both friends were willing to throw all their energy into. 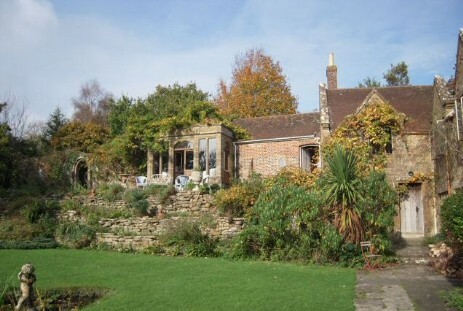 For several years, venues were chosen - not just for their unspoiled, rural locations, as now - but also to provide flexibility should the courses not be fully subscribed.... well, that never happened, so by 2006, FATB was robust enough to move into larger properties. Flutes at the Barns may be the name, but over the years we've enjoyed the backdrop of Cottages, Manor Houses and Halls, Pubs and Inns and a Grange, as well as large houses by the sea! Nowadays, participants have come to learn that they will have a comfy and luxurious space of their own, with a private bathroom - added to the fact that we have our own chef who takes care of everything on that side of things, the feel is more of staying in an exclusive hotel than those earlier experiences when participants shared the washing-up duties! 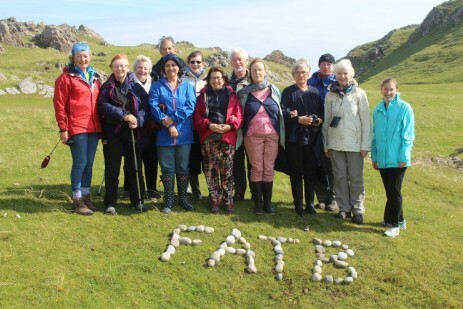 Today, the shorter day courses and longer overseas events with sightseeing are a popular and welcome addition to the FATB events on offer, however the dedicated residential courses - held in the beautiful Peak District countryside of England - remain at the heart of FATB. The focus of FATB is music-making. Being on a course is energising, the days are filled with a carousel of activities, sustained by the regular sit-downs with a slice of cake or friendly chat. Most of the time, participants find themselves with a flute to their lips, playing music with others, developing their own skills and interpretation under expert guidance and taking individual time with the tutors to progress with solo pieces they brought with them to the course. Those who seek to develop their performing skills also find much opportunity, with masterclass and concert platforms available to all, and these sessions - along with specialist tutor-led workshops - provide the chance, as a listener, to reflect on ones own playing, and to collect ideas for further repertoire; there is never any pressure to perform. The tutors, in their support of the course-goers, realise the value in sharing their personal passions and experience; top-class demonstrations are plentiful throughout the classes, and the tutor recital - which has continually varied in musical styles and ongoing challenge over the years - reportedly never fail to provide an inspirational highlight. The special atmosphere experienced whilst on FATB is consistently commented upon in feedback. The shared musical aims of the adult-only participants and beautiful venues certainly help encourage a friendly team-spirit... but it's more than that, and hard to define. Many participants choose to return time after time - self-named the "FATBers" who now have their own Members' Area on this website - and it's been a huge privilege for the regular tutors to witness their personal, musical progress. An added, wonderful sideline is the number of friendships which were originally born at FATB and which endure spans of many miles. 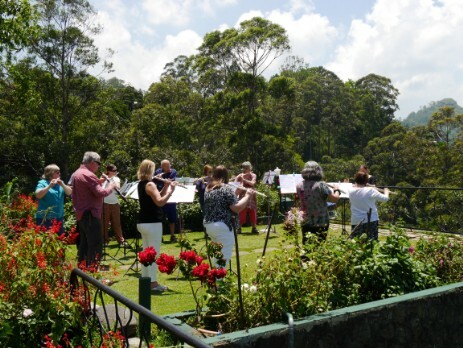 In total, many and varied musicians have been welcomed through the doors and immediately adopted into the FATB flock; over the first fifteen years, flute-players of every ability - and from 18 to 80 plus - have each enjoyed selecting the options to personalise the musical experience of FATB their way. Zoë and Rachael have been ever-present at Flutes at the Barns from the beginning; the team of Zoë, Rachael and David (our private chef) greet new and returning participants as they arrive at the Peak District venues for their residential courses; in St Albans, Mark Smith regularly teams up with Zoë to accompany for the FATB Flute Days. The amazing line-up of tutors and staff since 2003 has also included musical assistants Sarah and Barbara, Jacci - who cooked for us for many courses - and a top-class array of accompanists, including David Jones, Maria King as well as Mark and Rachael. 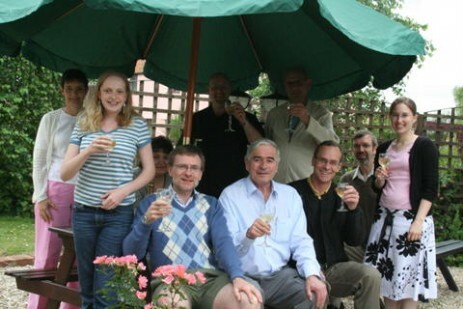 There is a long association with All Flutes Plus of London - managers Des, and Ian in more recent years - who provide additional expert advice, and are great friends to the course. 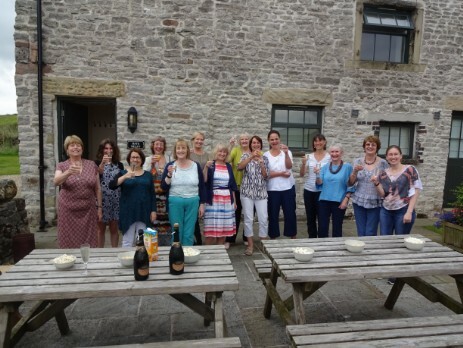 In 2018, Flutes at the Barns found itself celebrating both the 50th residential course and its 15th year. Since FATB began, Zoë and Rachael - alongside the many staff and participants of FATB - have moved through milestones in their lives and careers whilst nurturing their shared project of Flutes at the Barns. The energy and passion of those first days is now augmented by the huge amount of experience gained from the privilege of tutoring these special courses. Flutes at the Barns is a flute course worth waiting for.